Hi guys!!!! I'm so excited to share with you Pura d'or Hair and Bodycare products. My package came in the mail with a bottle of Premium Organic Argon Oil Based Hair Loss Prevention Shampoo, a Premium Organic Argan Oil Based Conditioner in Lavender Vanilla, and a Pure and Organic Argan Oil and I can't wait to share my results. 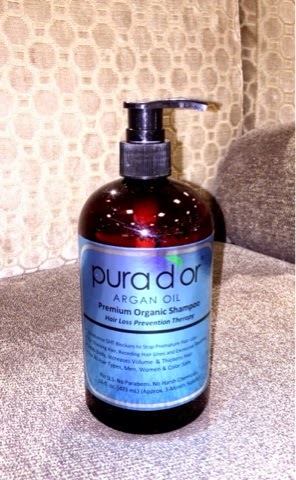 The Premium Organic Argan Oil Based Hair Loss Prevention Shampoo is one of a kind. It contains 12 DHT Blockers, which creates thicker hair and prevents from further hair loss. 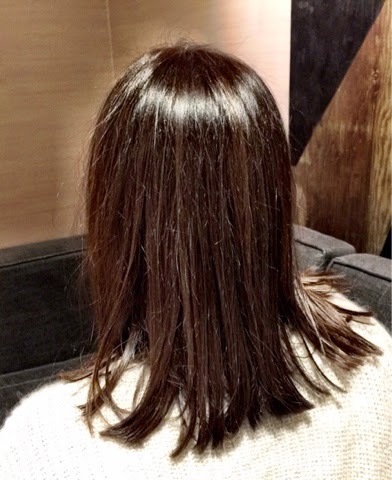 The Premium Organic Argan Oil Based Conditioner adds texture, shine and volume to hair. These shampoos and conditioners are free from SLS, Parabens and Gluten! The Pure and Organic Argan is great for skin! It's 100% cold pressed. It helps create smoother skin, restores nutrients to cells and reduces scars. These products are safe for daily use for all hair types, both men and women. I couldn't wait to try out my new products. I first used the Argan shampoo. I was a little hesitant because I don't really have a hair loss problem. But I was pleasantly surprised at how great it smelled and the consistency of the lather on my fine hair. I then followed this with the Argan conditioner. I loved the smell of the lavender vanilla. When I rinsed and styled my hair, I couldn't believe how shiny my hair looked. As you can see in the pictures above, my hair looks so healthy and these products made my typically fine looking hair look and feel thicker. I was very impressed with my results. I then used the Argan oil after the shower on my dry skin. It went on smooth and did not leave that greasy feeling after I apply other lotions and oils. My skin felt so soft. It is the perfect product for after shower or bath to keep my skin moist and soft. 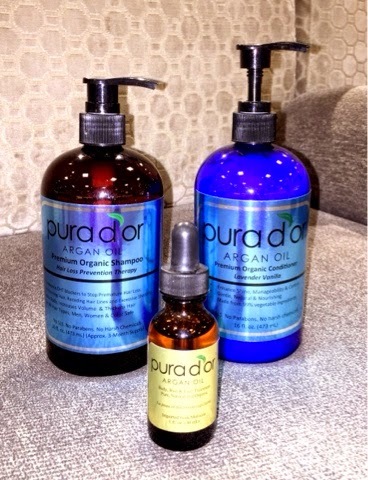 I highly recommend that you try out these Pura d'or products. They are made with only all natural ingredients, no harsh chemicals, are animal cruelty free, USDA biobased certified and Dr. Trusted. 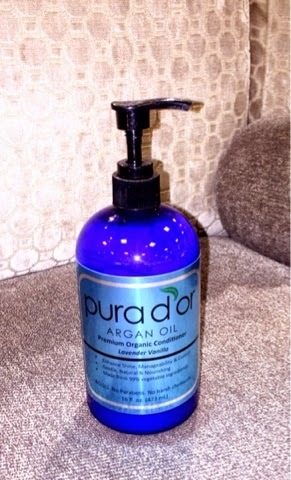 Pura d'or offers free shipping to anywhere in the continental U.S and are #1 on Amazon for Shampoos and Conditioners. I know that you will fall head over heels with Pura d'or! 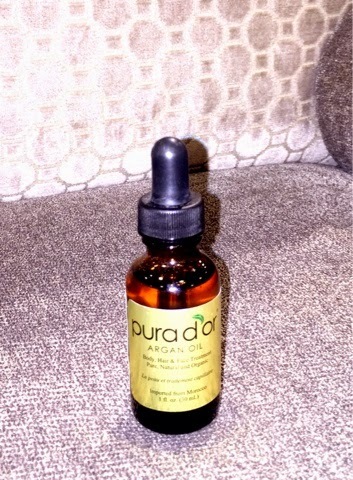 To purchase Pura d'or and learn more information about them visit www.purador.com. Powered by Brandbacker. And thank you to Cathy Cordas for photos. Happy reading!!!! Hi guys!!!! 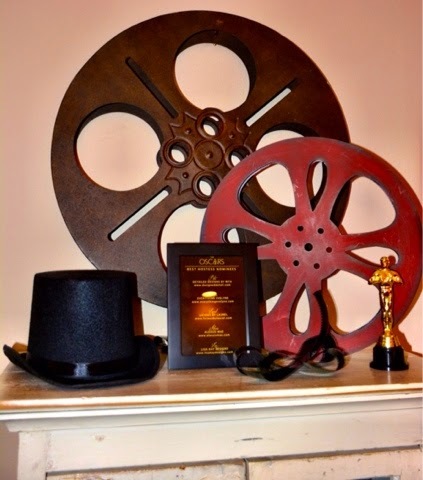 Did you watch the Oscars last Sunday night? 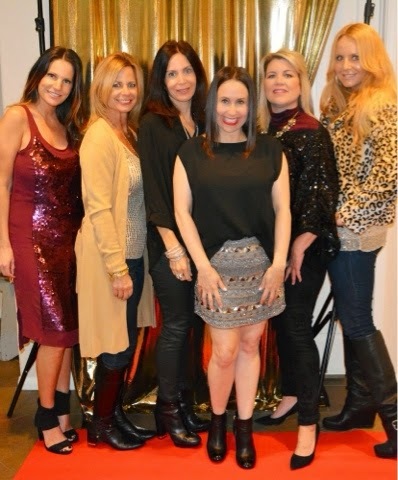 It has been a tradition that I have hosted an Oscar viewing party for some of my favorite girlfriends at my house for over ten years. 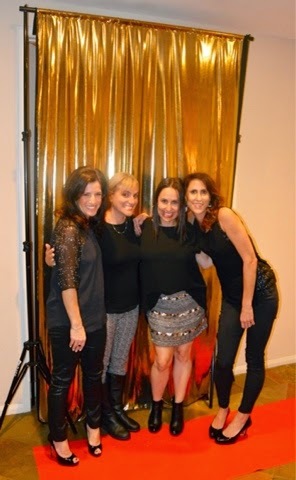 With the help of my amazing girlfriends, Rita Miles of Detailed Designs by Rita (follow@ritabmiles), and Laurel Weissman of Licious by Laurel, we took it up a notch this year. 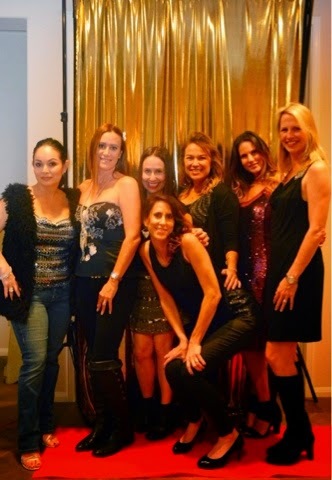 They, along with help of many of my girlfriends made this party an event to remember. 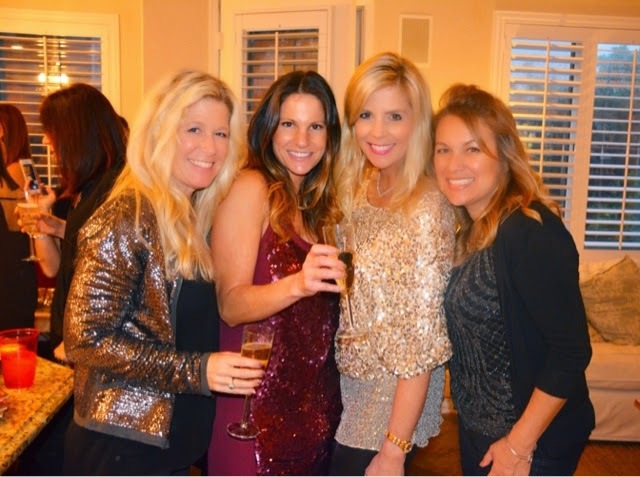 The theme this year was to wear something sparkly, and my girlfriends looked amazing. 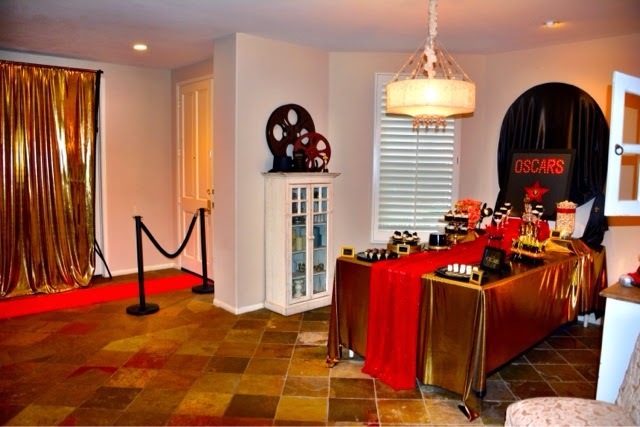 Rita went all out on the most unbelievable decor (with the help of Lisa Kay Designs). 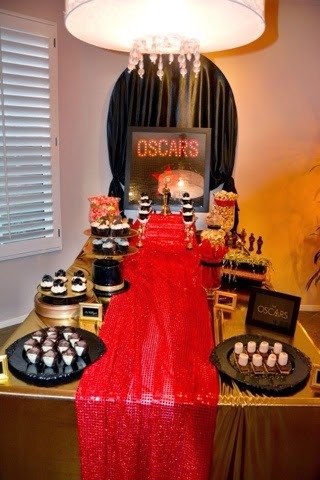 There were vintage movie reels, gold and black color theme, a red carpet entrance and photo wall, beautifully presented food (with the help of my friend Nikki) and Champagne galore. It was a classy environment for such an upscale evening. 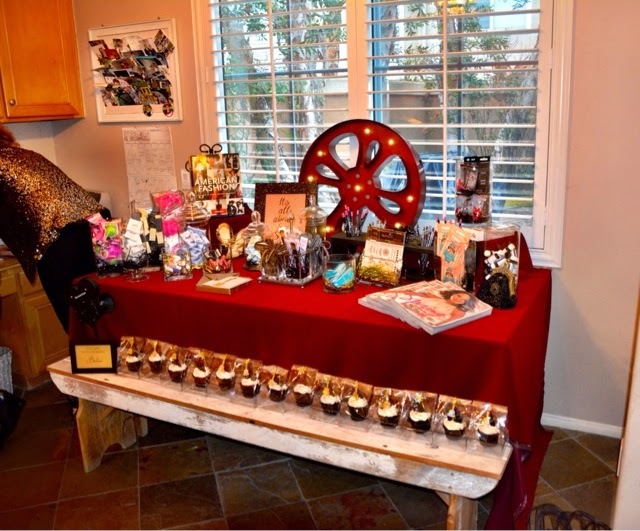 We also had an extraordinary desert table created by Laurel. 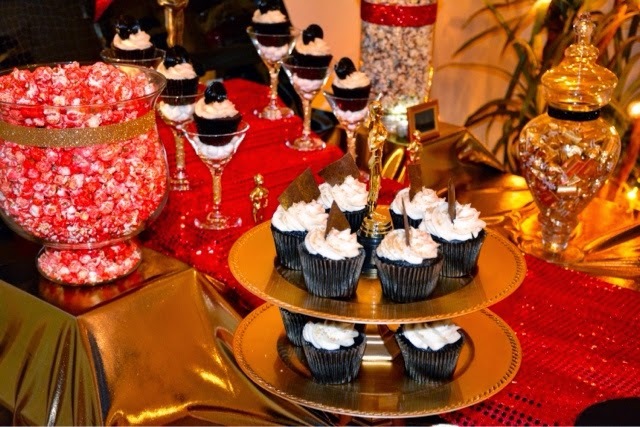 She baked the most incredible desserts including her signature cupcakes, popcorn and candy bar. And once again, no detail was left un noticed. What a beautiful display. Rita then provided a swag bar where all the ladies filled bags with beauty and yummy goodies (including treats from Benefit, Moroccan Oil, and Maw 'N Paw Kettle Corn ). The ladies loved this special added touch. I can't thank you enough for all your donations. It meant so much to me!!!! We will be revealing the winners on my Instagram in the next few days. So stay tuned. 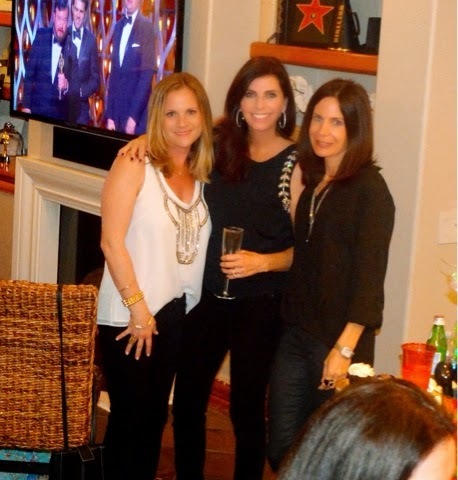 This was the best Oscar party ever! 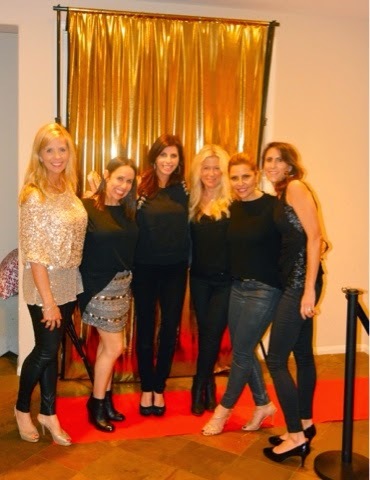 I had the a wonderful time with all of these lovely ladies!! I'm so grateful to have these beautiful women in my life. Thanks again to Rita and Laurel. 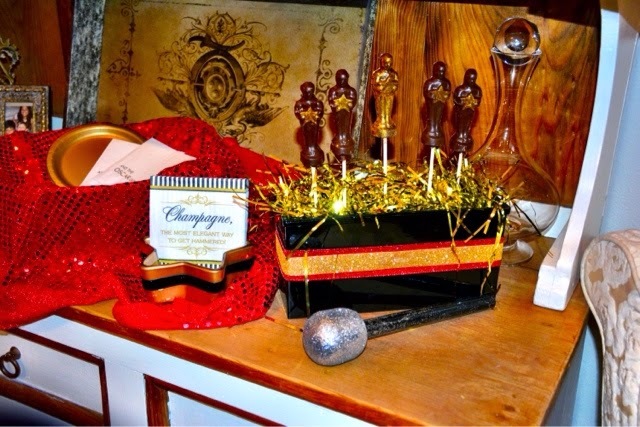 Check out their sites for your next party or event. And thanks to Cathy Cordas for photos. Don't forget to follow me on Instagram, Facebook, Twitter and Bloglovin. Happy reading!!! Hi guys!!!!! I was getting ready to do errands last week at Fashion Island. 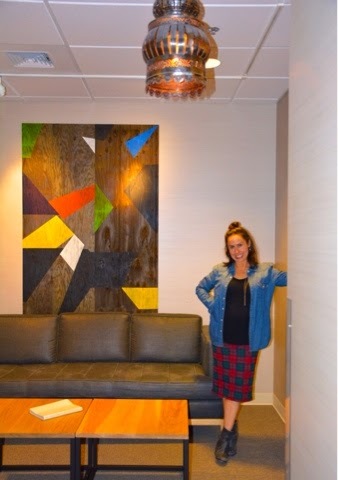 I threw on my favorite Gap denim shirt, a great Topshop skirt and my Rag and Bone booties and was ready to go. My hair, however, was not cooperating. I get asked this question so often: What can I do with my hair when I'm having a bad hair day. I was reading Alexsis Mae, my girlfriend's amazing blog. 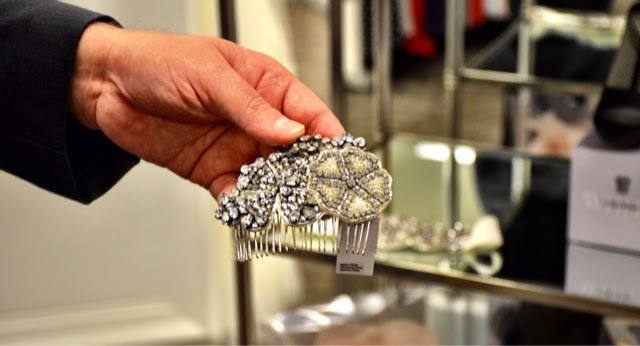 She has great hair tips that are easy to follow. She suggested the two minute top knot. It's a version of the half bun, where you only put part of your hair up in a bun, and leave the rest down. Check out her blog and you tube channel. 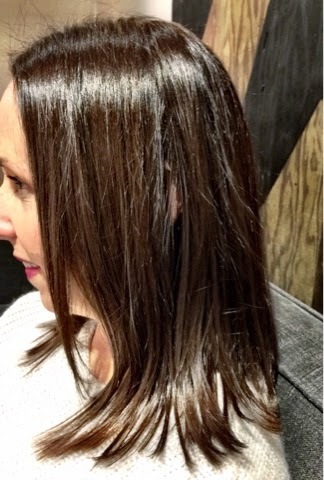 Alexsis gives great suggestions that solved my hair dilemma and it was so simple. It took me no time at all, I recommend that you try it too, especially on those days where you don't know what to do with your hair!!!! Thanks to Cathy Cordas for photos and don't forget to follow me on Instagram, Facebook, Twitter and Bloglovin. Happy reading!!!! Hi guys!!! 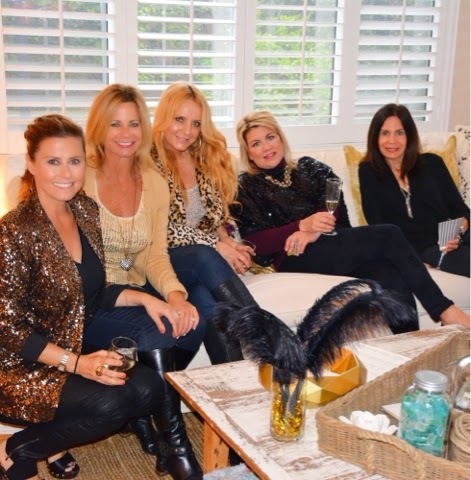 Everything Evelyne was featured in the OC Register on Sunday, February 15 2014 for Laguna Beach Street Style. Meet some of the people we found walking around Forest Avenue in Laguna Beach. They all look so stylish. Here is Joanne Salt and Jason Ferro. They are such a stylish couple!!! Joanne is wearing a Jacob Davis leather jacket and pants, Converse tennis shoes, and a vintage bag. Jason is wearing Jacob Davis jeans, a Calvin Klein Tshirt, and Converse tennis shoes. 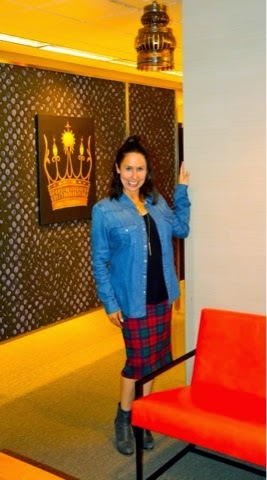 We spotted Isabella Davidson at Muse Boutique in Laguna Beach. She looks adorable in a Paper Heart sweater, a lace dress, a silver necklace, silver chained sandals, and a Muse bag. 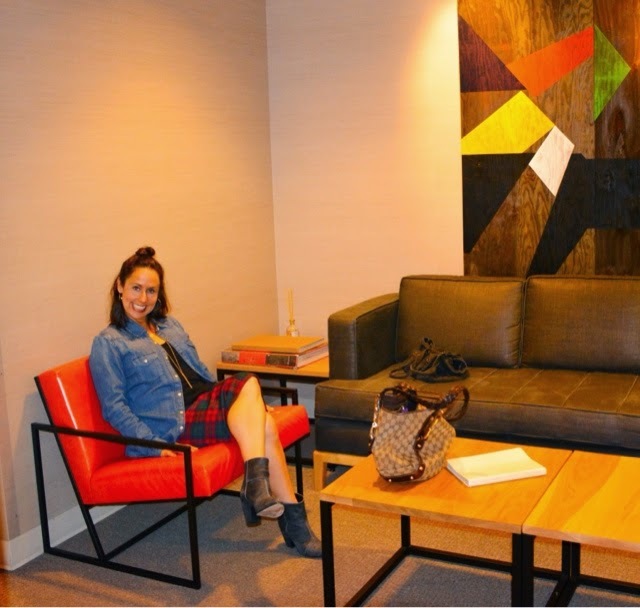 Isabella described her style as eclectic, comfortable and bohemian. This is Connor Edmonds who we found at Hobie in Laguna Beach. Connor is looking hip wearing a Freedom Artist Tshirt, an Insight flannel shirt, navy pants, Stance socks, Huf shoes, and a Helmstreet ring. 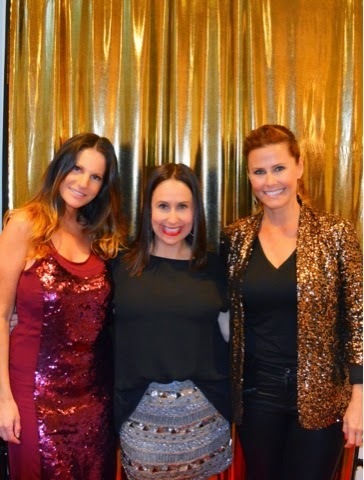 We spotted Marlene Hanlin at The Vault in Laguna Beach. 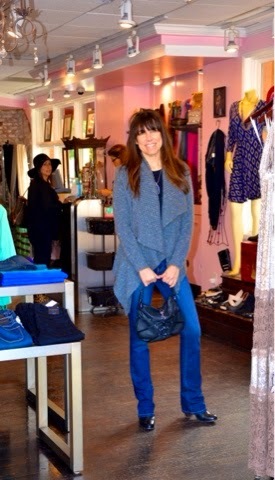 She looks great in a Kenzie sweater, Dibia True boots, Flying Monkey jeans, and a Calinana necklace. Marlene describes her style as part rocker mom and part mod. 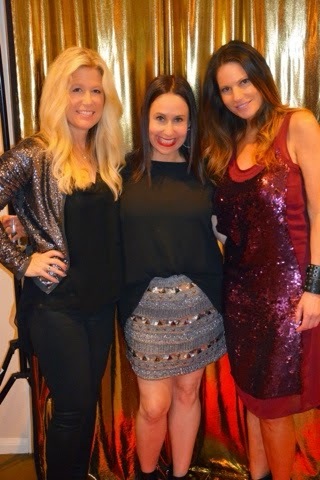 Here is the lovely Gila Leibovitch, owner of the Vault in Laguna Beach. 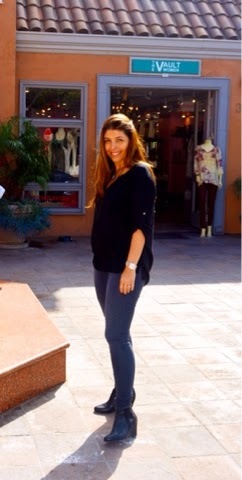 She looks fabulous in Seven for all Mankind jeans, Kenneth Cole Gentle Souls boots, and a Language top. All of these pieces can be found at The Vault. Gila describes the style of the Vault as cutting edge for women, men and kids of all ages. This is Eddie Fabulous who we found at the Vault Men's store. 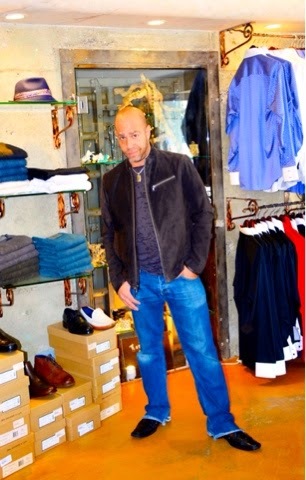 He looks so chic in a Recognition Tshirt, JBrand jeans, Marc Nadon shoes, and a John Varvatos jacket. Laguna Beach is such a fashionable town!! 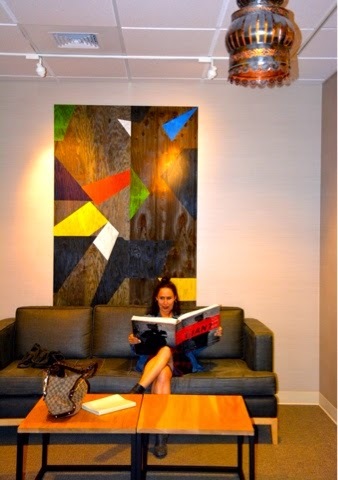 Keep checking out Everything Evelyne for future OC Register style reports. You never know who you may see!! !Thanks to Cathy Cordas for photos and don't forget to follow me on Instagram, Facebook, Twitter and Bloglovin. Happy reading!!!! Hi guys!!!!! 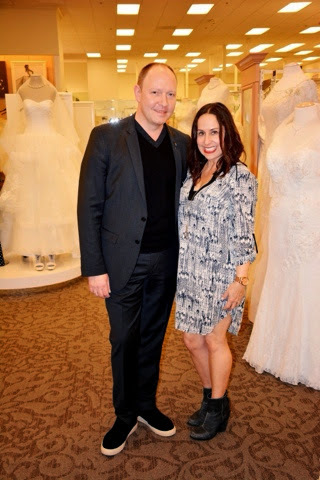 David's Bridal gave Cathy and I the most amazing opportunity --- to interview its Creative Director and VP of Design, Robert Barnowske. Since Spring is coming, I wanted to share with you Robert's tips on bridal attire, but also David's Bridal's collection of cocktail dresses, and outfit ideas for upcoming events. 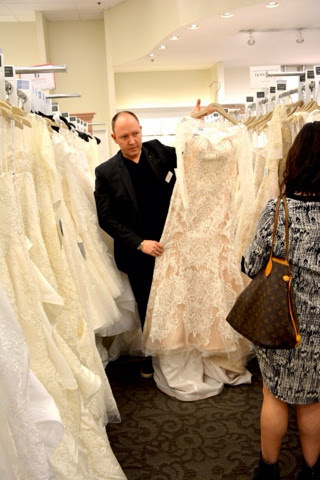 Robert gave us insight on some current trends for brides. Since we live near the beach, Robert suggested a great pantsuit, or a dress with a shorter hem line (pictured above) is a great option for a beach wedding. 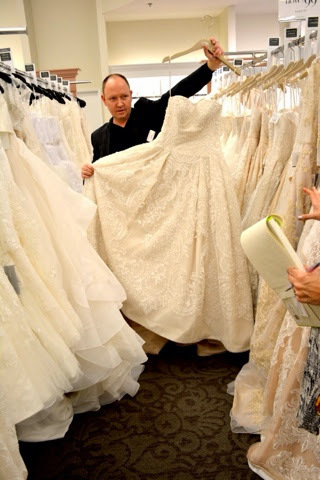 For a more a traditional wedding ceremony, Robert showed us some beautiful dresses from Vera Wang's line created exclusively for David's Bridal (pictured above). A recent trend is for brides to wear a more traditional dress for the ceremony, and change into a second more hip and trendy outfit for the reception. Two dresses--I just love that idea. It's so different from when I got married almost 20 years ago. 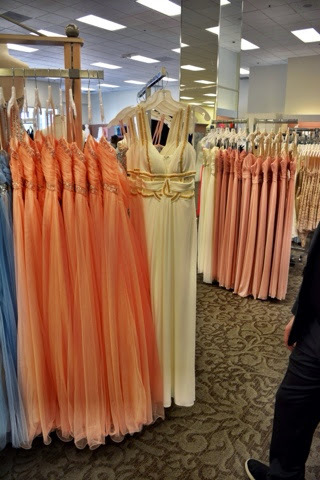 We also found out from Robert that David's Bridal does not carry only bridal attire, but is where you may find the perfect dress to wear to a charity function or school fundraiser, or even prom or formal dresses for your daughters. 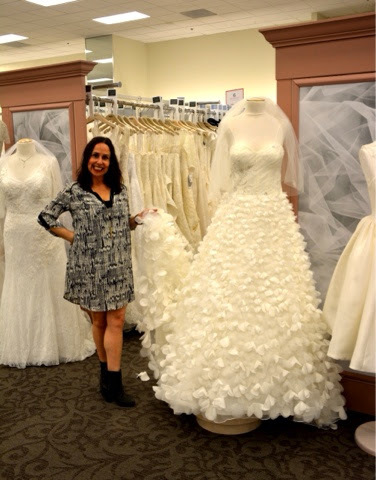 My girlfriends and I are always looking for different dresses to wear to these events so I loved learning that David's Bridal was an excellent option. Zac Posen does an exclusive line for David's Bridal that includes special occasion dresses, jewelry and shoes, with a reasonable price point. Robert recommended to come in and try on different styles for your next event, and choose the best color and fit for your body type. It was such a pleasure to meet with Robert. 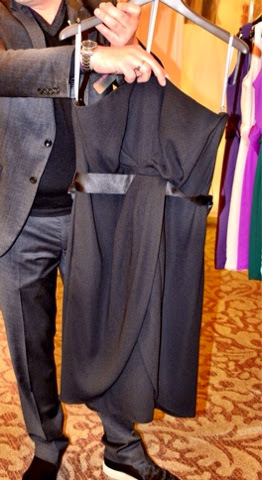 He was so gracious and I learned so much about bridal and special event dresses from his recommendations. 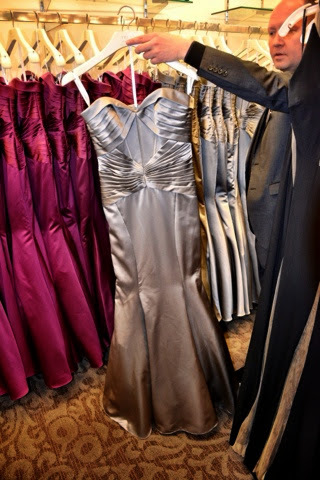 So remember to check out David's Bridal for your next special event outfit. Thanks again to Cathy Cordas for photos and don't forget to follow me on Instagram, Facebook, Twitter and Bloglovin. Happy reading!!! !